The Netcheckr platform uses Netterium, an Ethereum-based token, as the unified mode of payment between influencers and companies, in addition to Blockchain-based smart contracts. This will allow the safe and regulated interaction of all parties, preventing fraud and the need for third party intermediaries. Netcheckr’s Smart Algorithms help brands select the best influencers based on various parameters including relevance, popularity and demographics. The user-friendly interface provides profile pages for all influencers and quantified marketing campaign projections, maximizing the return on advertising budgets. The platform also helps both small and large-scale influencers find new brands and monetise content more easily and profitably. The NetCheckr platform calculates your social media popularity based on reach and activity. When you connect your social media accounts, the Netcheckr algorithm measures the value of all your social data and converts it into an online net worth. Netterium tokens are used for our project Netcheckr.com. After launch, Influencers will be able to earn them by posting commerical messages for advertisers on their social media accounts. 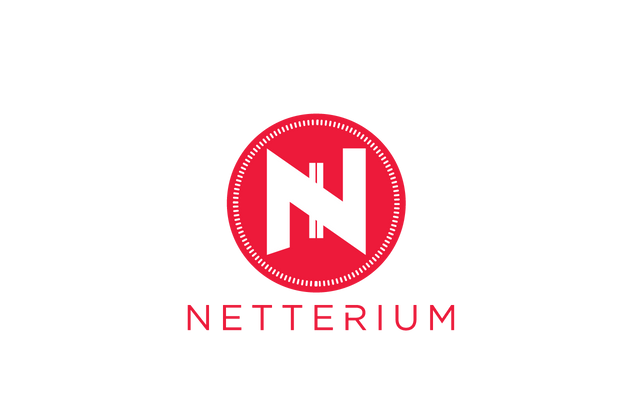 Netterium will also work as a payment medium, and will give Netterium holders the possibility to sell & trade their Netterium Token. This bounty will run on a Stake system. The Stakes will be translated into tokens based on percentage at the end of the campaign. This campaign will last until the end of the Netterium Official token sale. If you have any technical questions about Netterium and its system, please ask it via Official Telegram or Bitcointalkthread. • Register your entries through our Google Forms located on each campaign. Please do not flood the thread with your entries. • Weekly Reports for the entries needed to be submitted within each bounty week to qualify. Use the Google Forms to submit your entries. • Any questions and clarifications about the bounty program will be discussed at our Bitcointalk Thread or Official Telegram Channel. • Stakes will be finalized at the end of the Bounty Program. 1. You are not practicing honest conduct or spamming forums. 2. We might need to refuse you from participating in any of our Bounty Campaigns regardless of reason. 3. You must take action reaching the Bounty Manager for any issues within bounty week or we will not take fault for stakes lost. 5. Spamming, cheating and having many accounts are strictly forbidden. We will completely remove you from all and any campaigns if found responsible under our management. 1. Bounty Hunters must share and like Netterium’s posts. 2. Bounty Hunters must follow the Official Twitter Account of Netterium. 3. Twitter accounts with less than declared followers is an invalid entry. 4. We will only allow 10 tweets and 10 RT/Like entries each account per bounty week. 5. We have the right to invalidate entries if a Bounty Hunter duplicated its entry even on different bounty weeks. 6. Tweet must include both @NetCheckr and #NetCheckr with unique content. 7. Retweet/Like must not be older than 2 weeks to qualify. 8. We reserve the rights to invalidate all of your entries even without any reason. 1. Bounty Hunters must at least ranked as Member in order to wear our signature. 2. Bounty Hunters must at least make 10 posts every bounty week wearing our signature or else their entry for that bounty week would be disqualified. 4. Poor quality posts such as “Hello”,”Good Luck”, “This project rules”, and other inadequate posts will not be considered as an entry for the bounty. 5. The Bounty Hunter must contain a minimum of 100 characters in their post to make a valid entry. 6. Bounty Hunters must also wear the signature to make a valid post. 7. Bounty Hunters with red trust scores cannot participate in our bounty. 8. Having multiple accounts is not allowed and will be restricted to participate in all of our campaigns. 9. If you’re leaving us for another campaign, please PM the Bounty Manager. Otherwise, all of your entries will be forfeited. 1. The article must be of high quality and proofread. 2. The content must be unique. 3. In an event that we found out you have copied or plagiarized an article, you will be restricted to join any of our campaigns. 4. The article must be published publicly otherwise it would be rejected. 5. The article should contain not less than 500 words. 6. The article must include links to our website, bitcoin thread, and at least 3 of our social media accounts. 7. Eligibility of any article will be at our discretion, and we reserve the rights to reject any article even without reason. 1. Bounty Hunters must be part of our Official Telegram Channel to participate. 2. Stakes are not counted for the whole bounty week when a bounty hunter is caught even once not wearing Avatar/Website. 3. We reserve the rights to invalidate all of your referral entries with no reasons. 2. Facebook accounts with less than declared friends is an invalid entry. 3. We will only allow 10 entries each account per bounty week. Exceeded entries will not be counted. 4. Bounty Hunters who duplicate entry will be disqualified unless you informed us if it was mistakenly posted. 5. We reserve the right to invalidate any of your entries even without reasons.